Welcome to our dental office. We take pride in providing a highly professional service in a friendly and relaxed manner. In order to evaluate your dental health and plan the best treatment options for you, it is important for us to record a complete dental and medical history. The process is quick and only takes a few minutes to complete. Primarily, we need to be informed of any unusual physical conditions or allergies. I always feel that a patient’s first appointment should be a dental check-up, however, every patient is unique. I find that many patients prefer having their cleaning first. Maybe this is their way of ‘easing ’ themselves in to the office at their own pace. 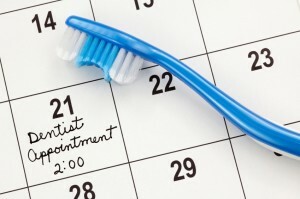 In any case, both a cleaning or check-up appointment are a good introduction. 1)	review your medical history. I need to know all the medications you are taking, even if it’s just an 81 mg tablet of baby aspirin. I find the two most common medications are, cholesterol and high blood pressure medication. In addition, I need to know if there are any allergies. The most common ones are latex and penicillin. 2)	find out if you are here for any particular problem , i.e., dental pain, swelling…what brought you in to the office? 3)	do a thorough check-up and explain the state/condition of your mouth in easy-to-understand language. I try to use a lot of analogies, i.e., I equate the tooth to a ‘house’ and the gums and underlying bone to the ‘foundation‘ of a house (see blog # 2, No one said it was going to be easy). I try to tell the patient everything I can about their mouth. It’s my job and responsibility to let the patient know what they need, whether it’s something as simple as a cleaning or a little more in-depth like an implant. Thoroughness is key…I always tell the patient everything they need in terms of any treatment they require. Whether or not they choose to follow through with the procedures is their decision, but I have to tell them everything. Please discuss your dental plan with our receptionist at your first appointment. The receptionist will identify the insurance carriers responsibility to you. To interpret your benefits, make sure we have your most recent dental coverage information. You may want to provide us with a booklet from your employer explaining your coverage. It’s your insurance and the more you know about it, the better. With your help, our front desk staff will try to get a complete ‘breakdown’ of your insurance information. This enables us to know which procedures are covered and which aren’t. There are two categories, basic and major. A ‘basic’ procedure is something like a cleaning, exam, filling, extraction (tooth removal) and a root canal. A ‘major’ procedure is a crown (cap), bridge, denture, implant or gum treatment. Insurance companies are usually more generous with basic procedures as opposed to the major ones. For this reason, we always send an estimate before any ‘major’ work is done. In the end, it is ultimately up to the patient to decide which procedures they want us to do…no pressure. 1)	Maintain a clean mouth via proper dental cleanings and home care. 2)	Follow up with recommended dental treatment to ensure teeth have proper fillings and no decay. 3)	Maintain strong gums that are pink, tight and don’t bleed, through proper brushing and flossing. Remember…there is a link between red / bleeding gums and heart disease (see blog # 1, Dental Wellness). A good dental practice doesn’t just happen. It is the result of hard work, a dedicated and caring staff, quality dentistry and the confidence of our patients. But that’s not all. Your referrals of family, friends or business associates help with the continued success of our practice…and we can’t thank you enough! Our dental office is located in the heart of Brampton at 40 Finchgate Boulevard, Suite 121 at Bestgate Professional Centre. We welcome new patients, walk-ins and dental emergencies for all ages. Book your appointment today by calling (905) 791-3867.